We consider Limbertwigs to be the quintessential apple of the Southern Appalachian Mountains. So many different strains of this wonderful variety have originated in eastern Tennessee, southwest Virginia, southeast Kentucky and northwest North Carolina. 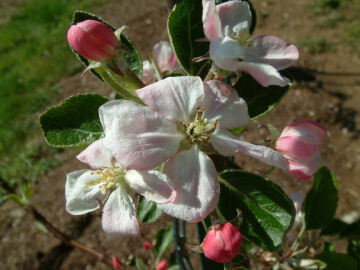 Ramsey Limbertwig is one of the many outstanding Limbertwig apple varieties recently discovered by noted apple hunter, Tom Brown. Very similar in flavor and appearance to Fall Limbertwig. 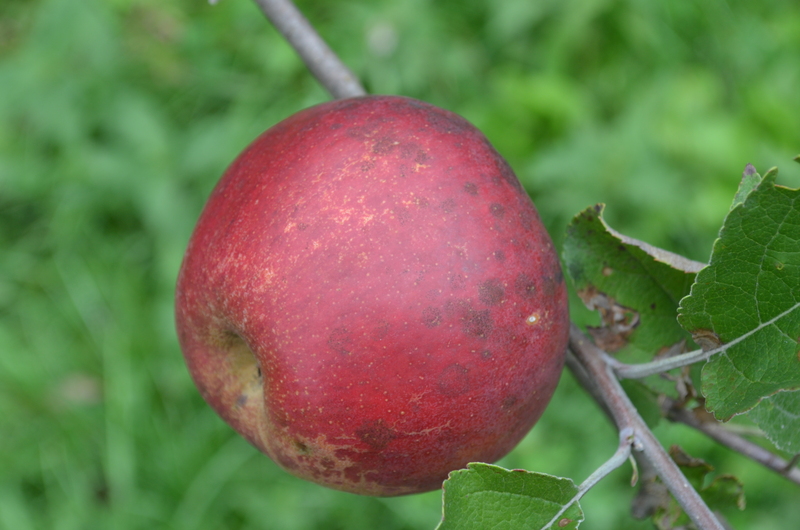 Fruit is large, slightly flattened in shape with dark and light red skin over a greenish base. The yellowish flesh is very firm and crisp and very juicy. Makes outstanding cider. Ripens late October and is a great keeper. All images © Big Horse Creek Farm.